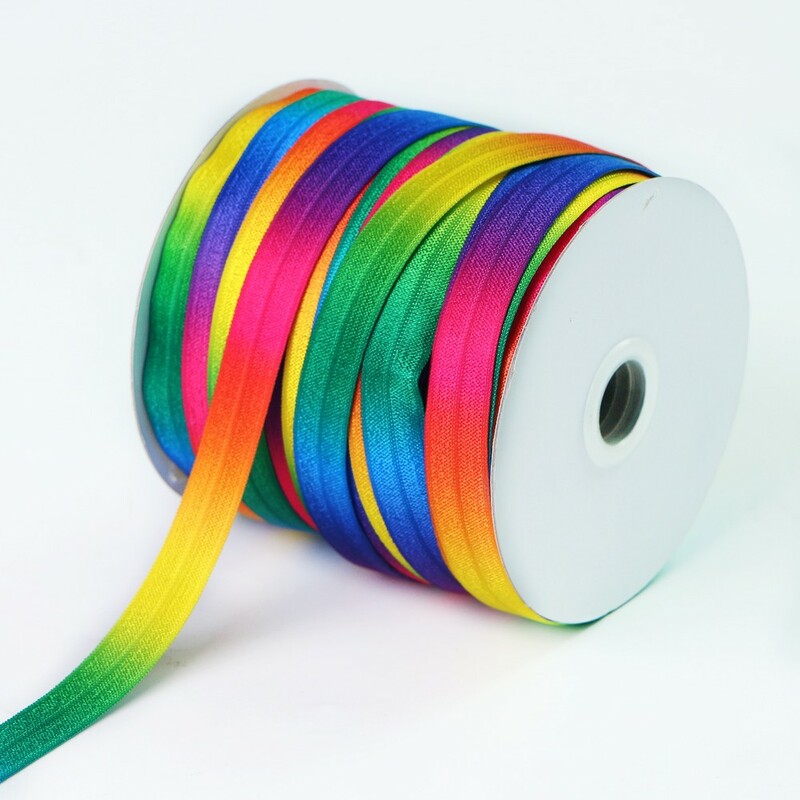 Rainbow ribbon has beautiful color wave patterns. 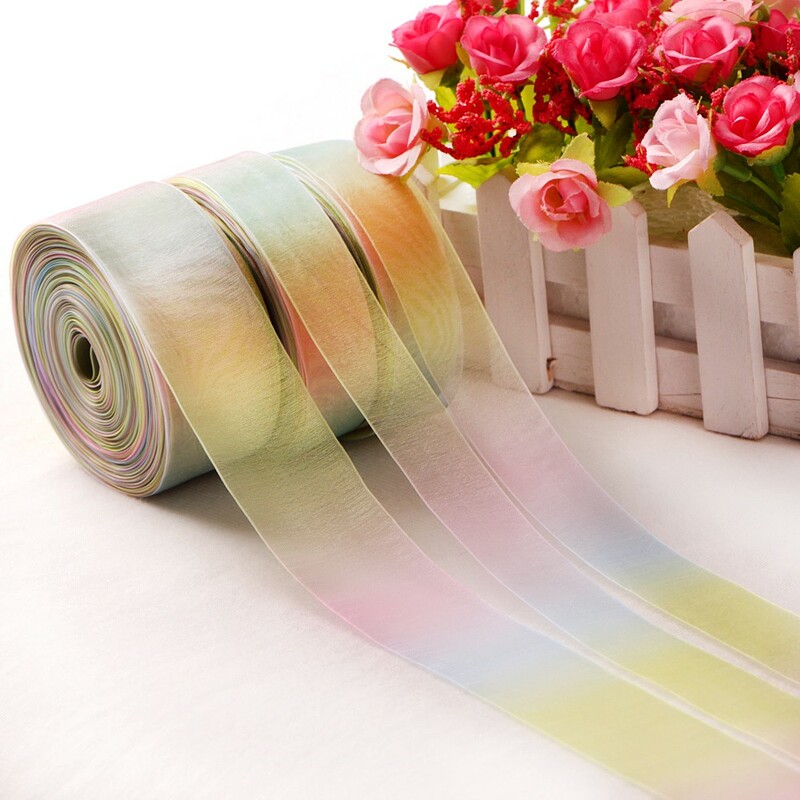 It's soft and fateness. 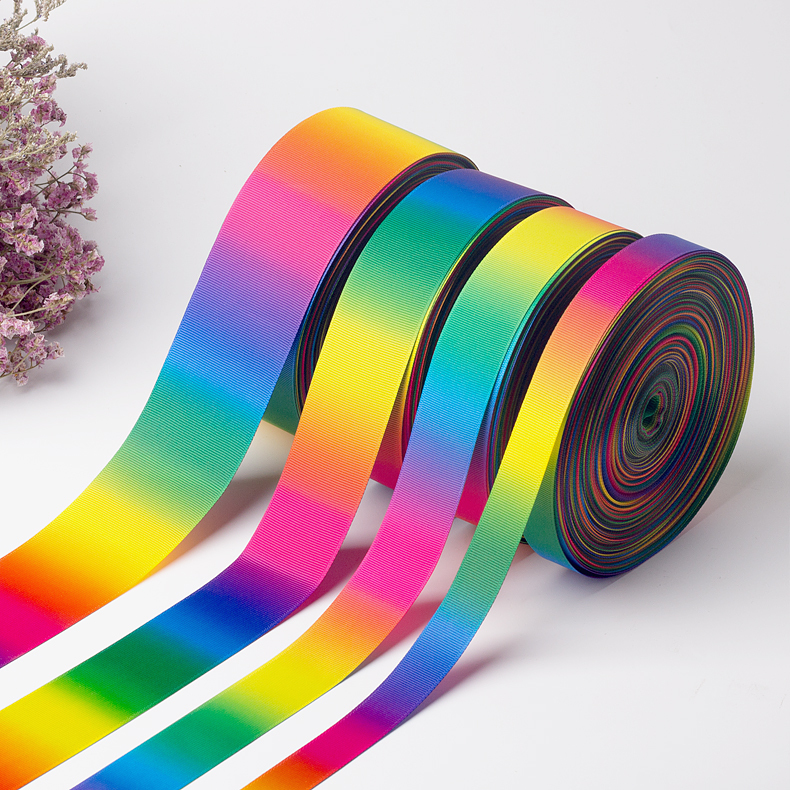 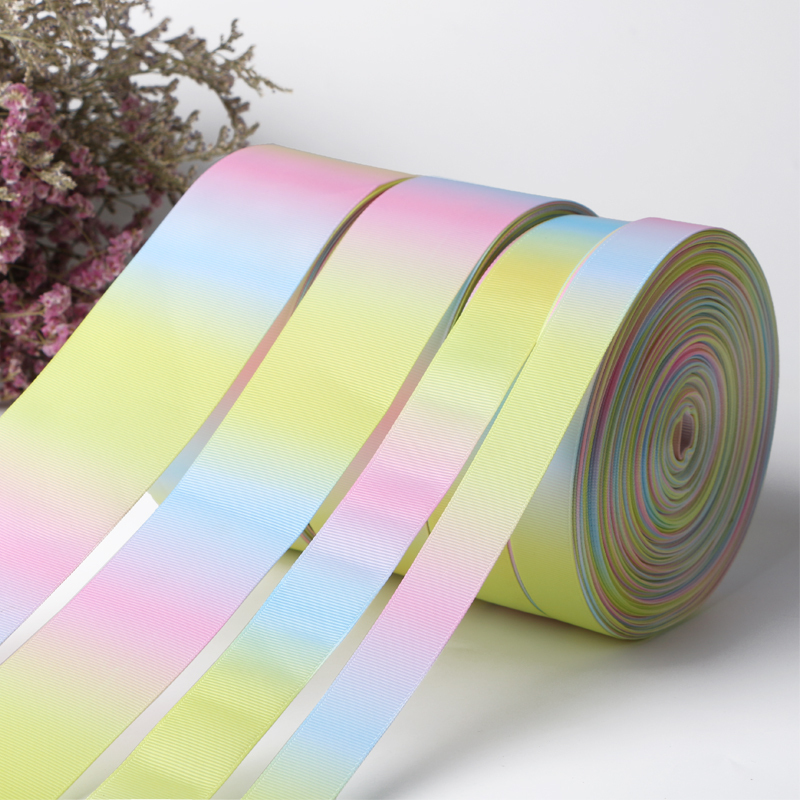 This organza rainbow ribbon is made of polyster. 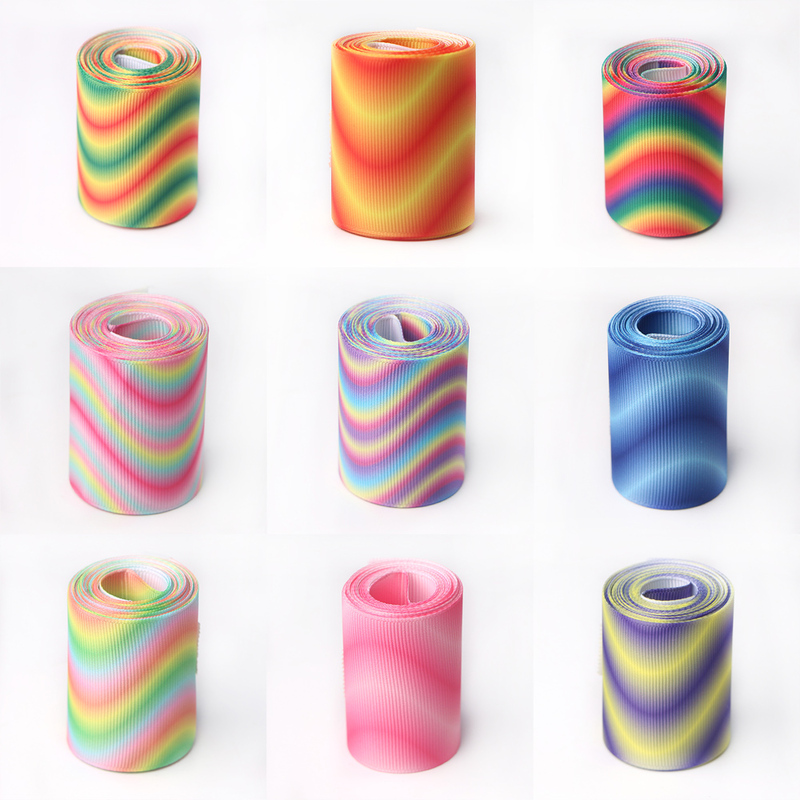 It's soft and fadeless. 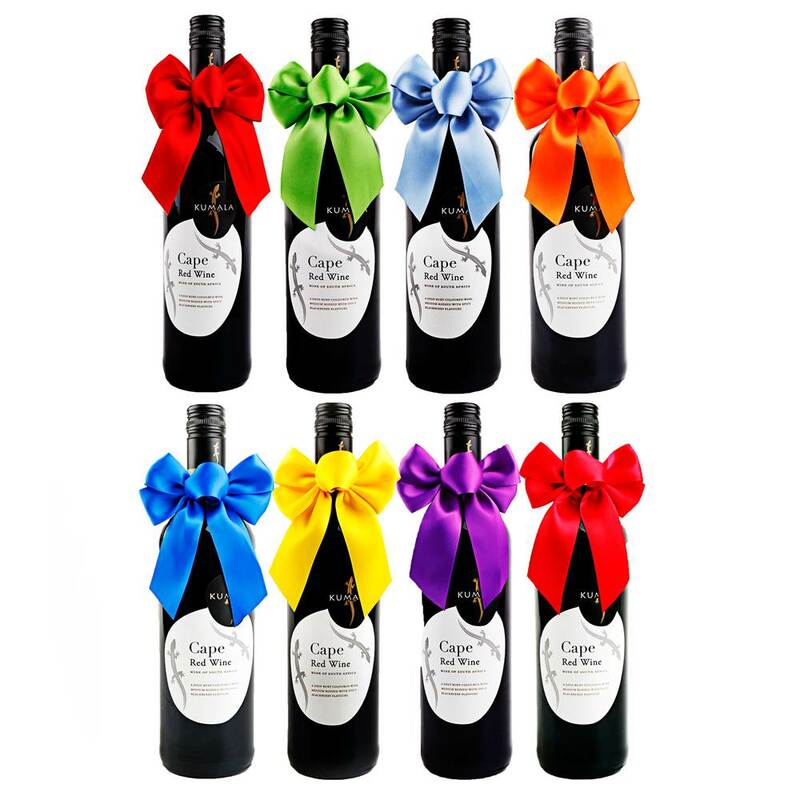 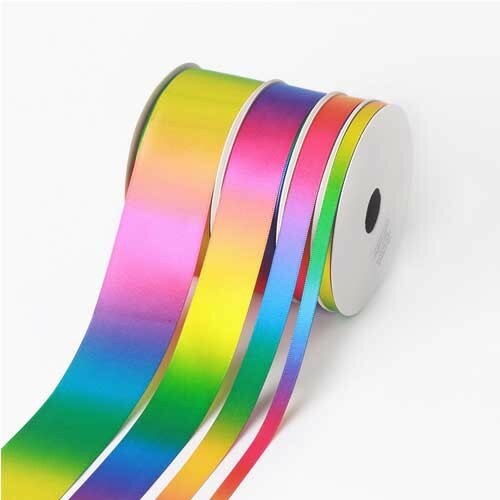 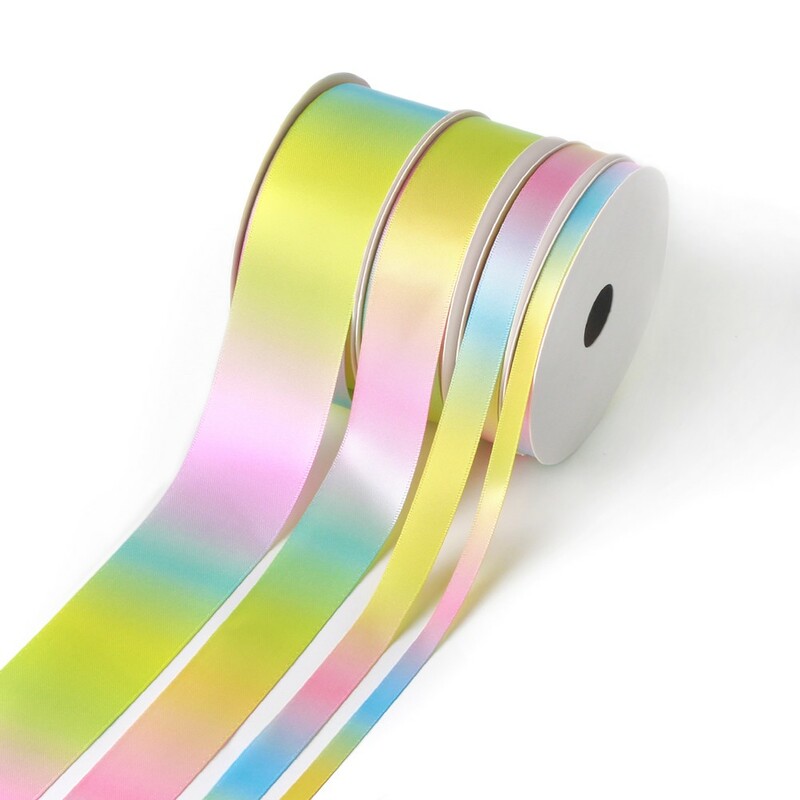 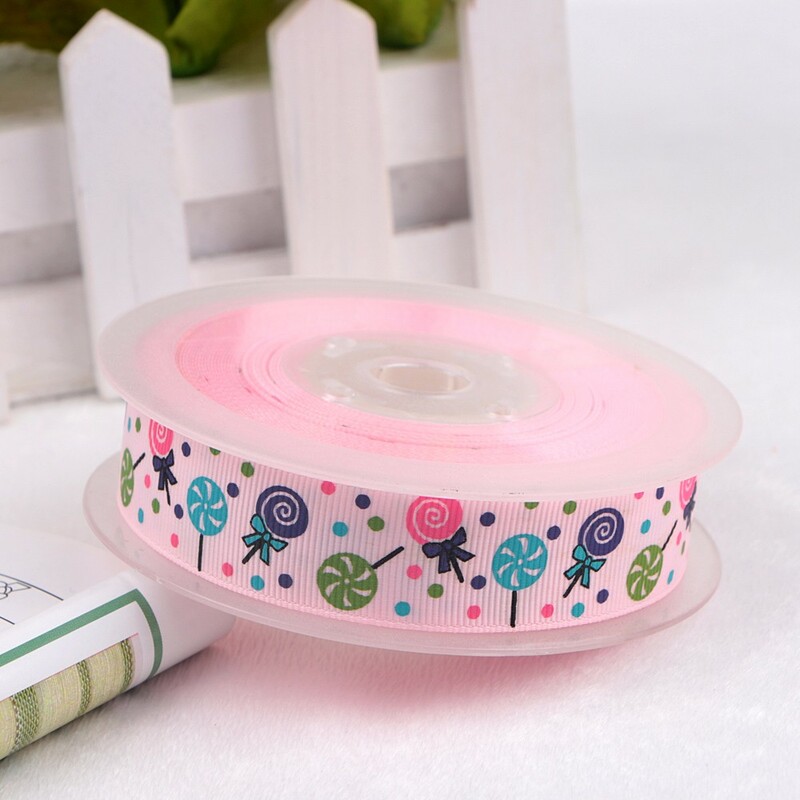 This is a unique rainbow ribbon, We can use it for packing, ribbon bow and clothing decoration.